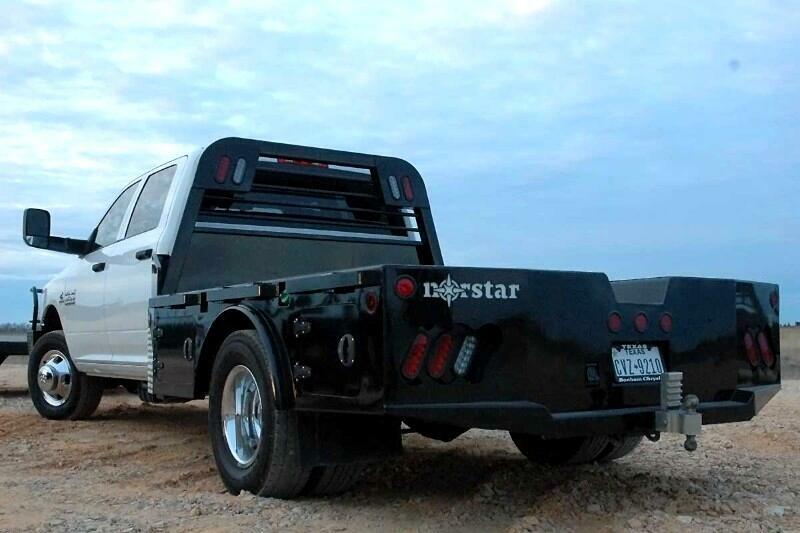 Need a working truck bed with a little extra built in storage? 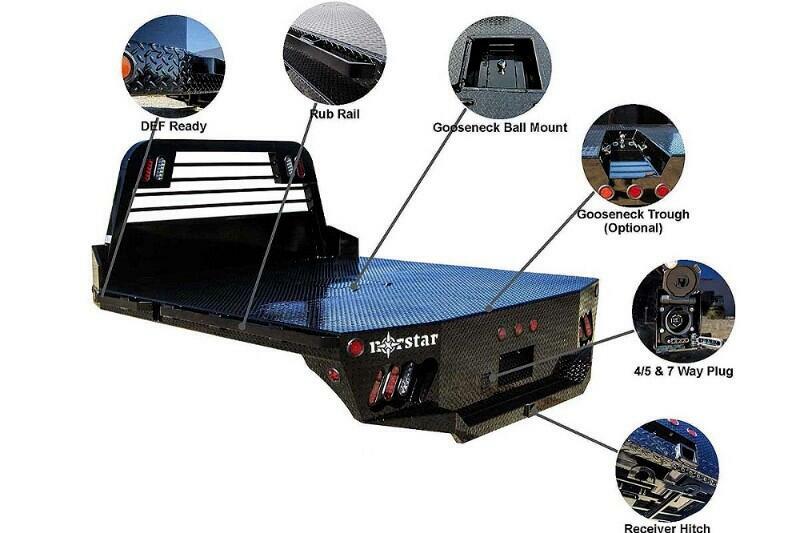 Our ST skirted truck bed might be just for you. Two Locking T-Handle boxes are standard and you can add up to four total. This bed is the perfect fit for any single or dual wheeled work truck and can keep up with your daily workload. Standard gooseneck ball hitch and bumper receiver hitch along with both 7 way and 4 way plugs make sure you can hook up and go any time. Standard lifetime LED lights ensure you will never be left in the dark and the tubular steel headache rack will protect your cab from most anything you can throw its way. Standard angled corners help you maneuver into tight spaces and standard exposed rub rail and stake pockets give you plenty of contact points for securing any load. Check out our optional features and build a bed to suit your workload today. 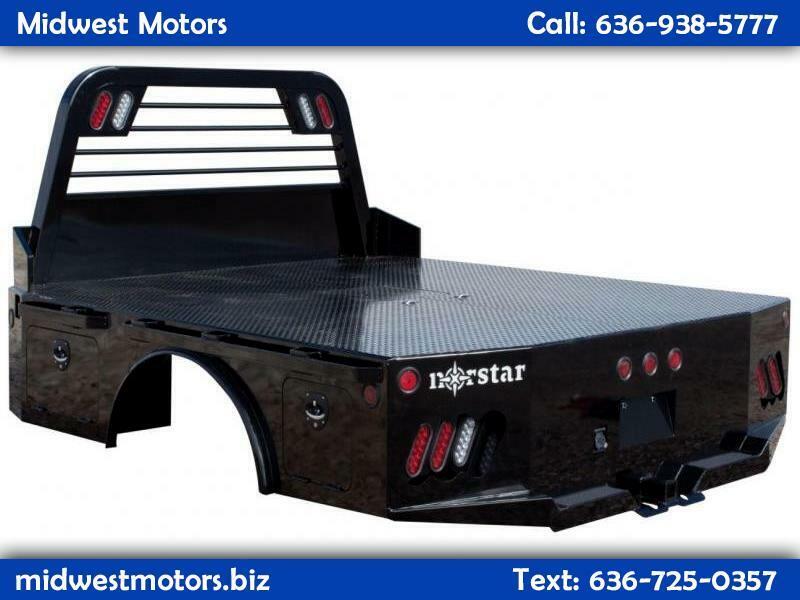 Message: Thought you might be interested in this 2019 Norstar Truckbed.